Feedback for has been compiled from 57 reviews. I really enjoy baking various breads and scones, I should get fat but thankfully I don't so all is as it should be. Good mix of seeds, hints of rye and malt which gives a denser texture with a flavourful crunch in every bite. 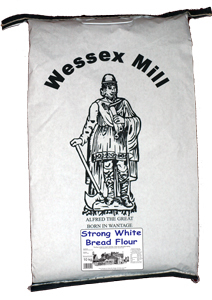 Like all Wessex flours - it always delivers. My husband's favorite. We all love it. Looking forward to trying the new products. My only issue is with the website ordering - you have to keep going back to the full list of products from your basket to add to add a product to your basket. To me it is laborious and frustrating. Baked beautiful bread, relatively inexpensive compared to sourdough bought from a bakery. 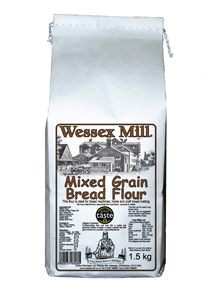 Another lovely flour. We use for weekend rolls and ‘French sticks’. Excellent for serving with soup or for baguettes. 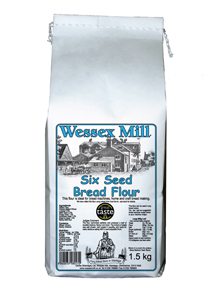 Excellent for use as supplied or blending with other Wessex mill flours. Lovely tasting loaf and rose well. 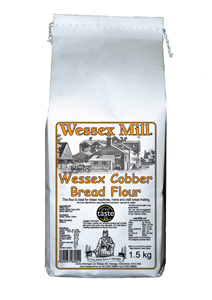 Just to my taste along with the cobber flour both of which are wonderfully consistent. This is a good product, in a useful size.